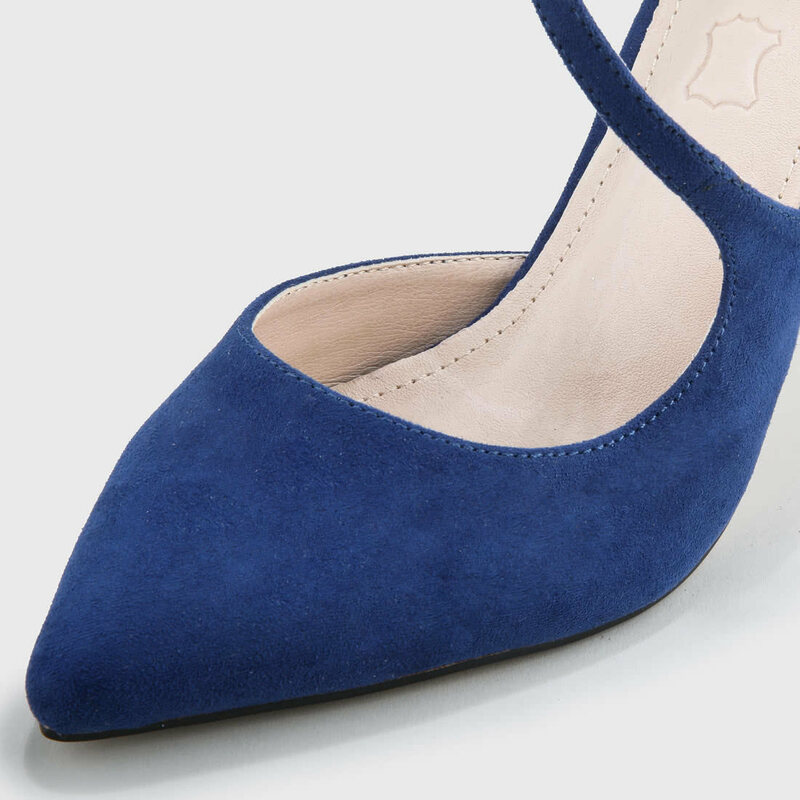 Skipping work will be even more fun with these pointy pumps by Buffalo. 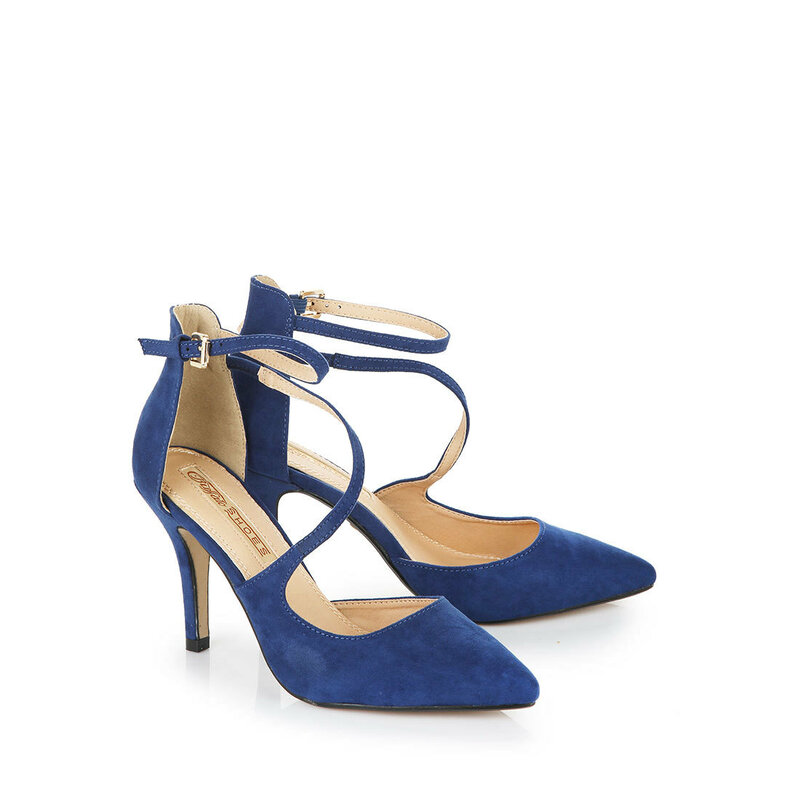 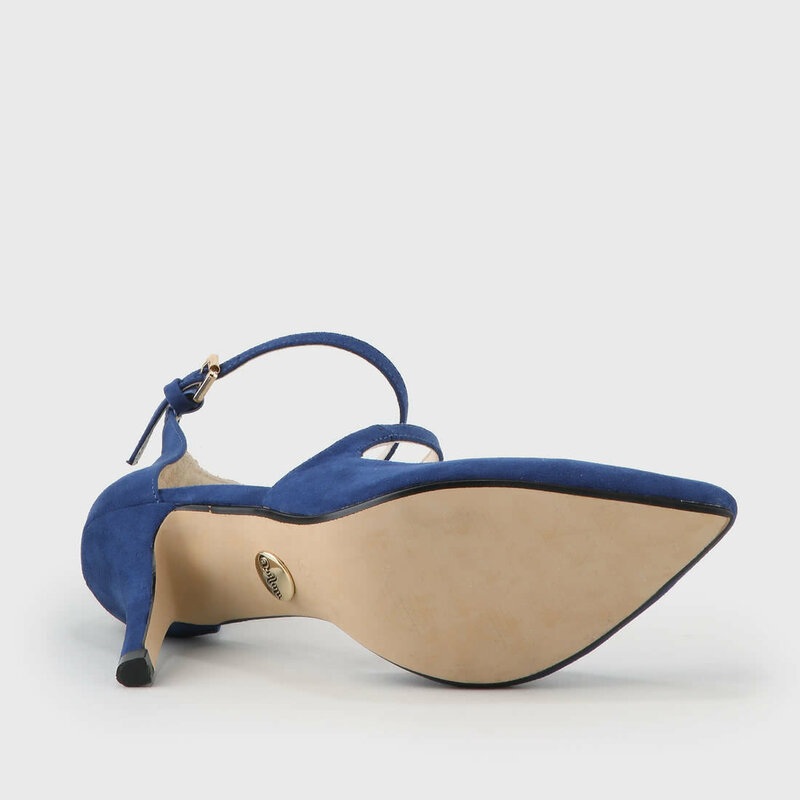 Ultimately, these pumps delight with their shiny deep sapphire blue soft suede leather look, asymmetric straps and elegant funnel-shaped heels. 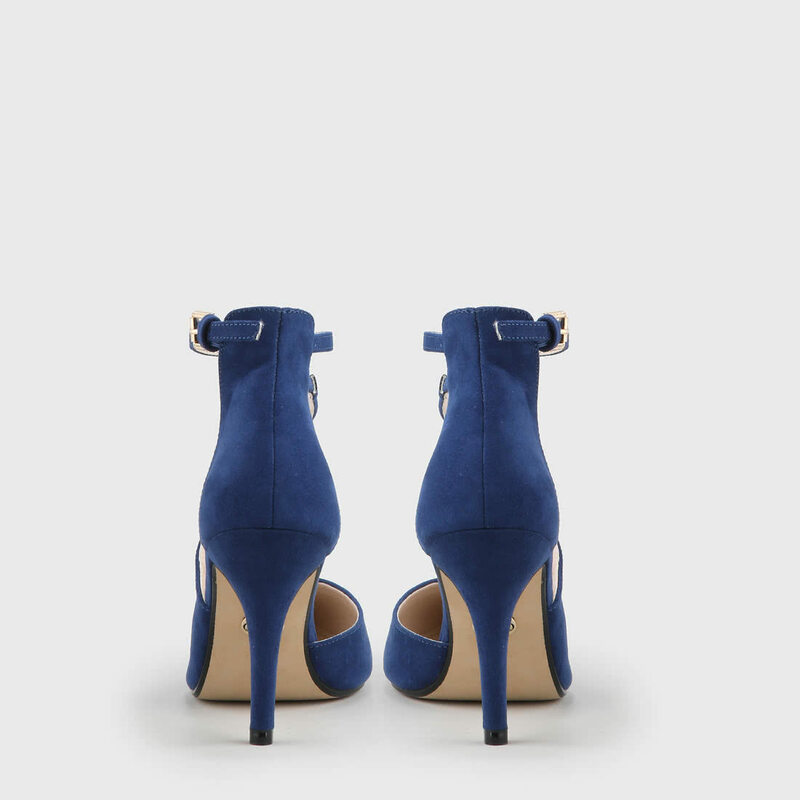 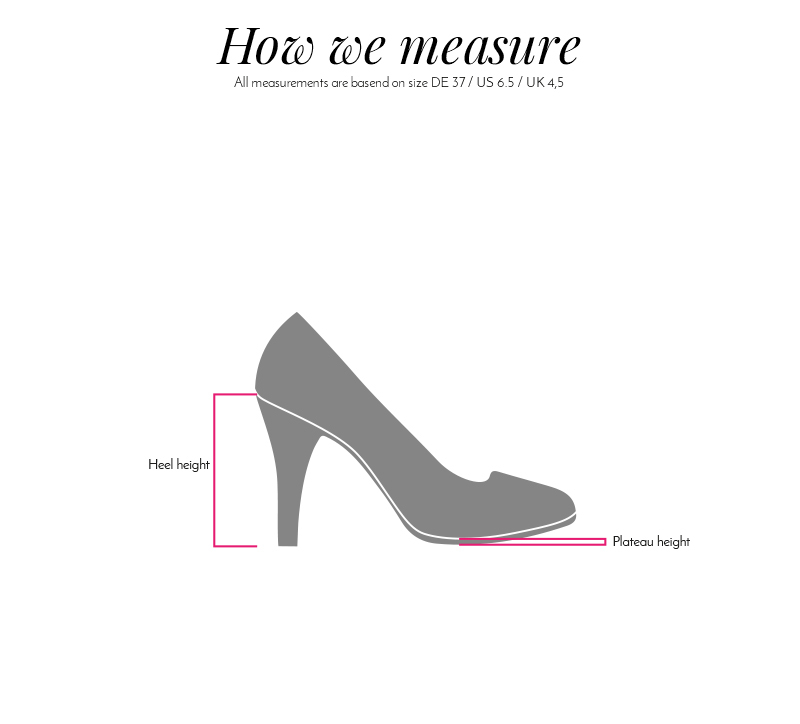 They are definitely one our favourite pieces when combined with cropped jeans or a light summer dress.